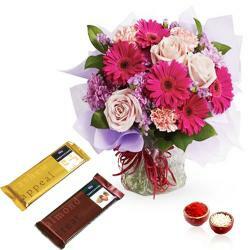 Product Consists : Hand Bouquet of 18 Flowers, 500 Gms Dry Fruits Box along with Free Roli Chawal. 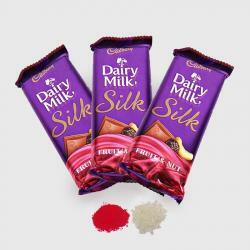 Bhaidooj is an auspicious occasion celebrating the sacred bond of brothers and sisters. 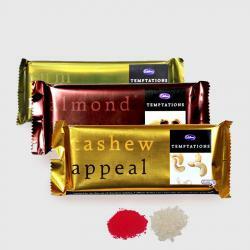 Celebrate Bhaidooj in a special and unique way this year by pampering your brother with this exotic gift combo that comprises of roli chawal of best quality for applying on your brother forehead and assorted dry fruits of 500 grams like cashew nuts, almonds. Gerberas and Roses are flowers of love. Gerberas and Roses symbolize attraction, adoration. So Giftacrossindia has brought to you a charming collection of Gerberas and Roses, beautifully arranged in a bouquet This lovely gift combo is all set to delight your brother in best way. So go ahead and show him how much you car by ordering this wonderful gift. 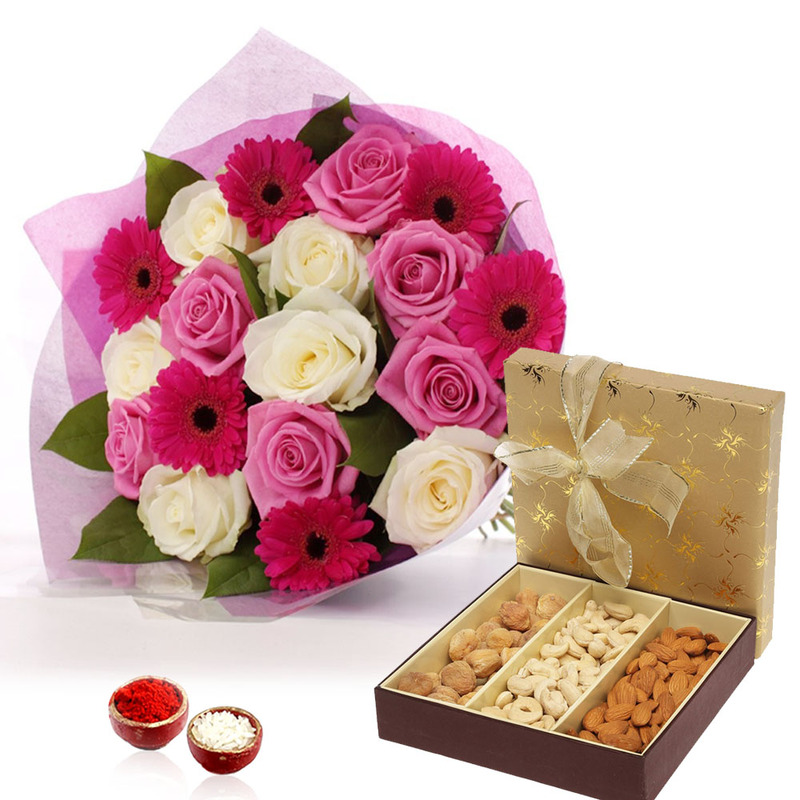 Product Consists : Hand Bouquet of 18 Flowers, 500 Gms Dry Fruits Box along with Free Roli Chawal.